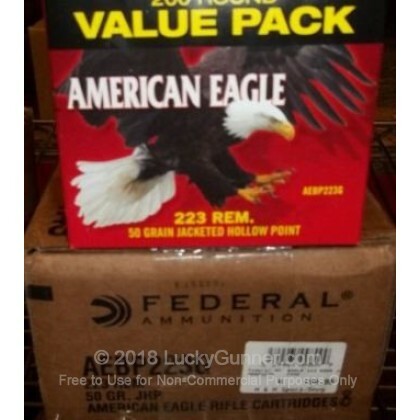 Federal's 223 Rem 50 gr JHP ammunition is perfect for your AR-15 or 223 rifle with its fast muzzle velocity and accurate trajectory. Featuring a JHP projectile, this ammunition is designed to expand on impact making this a great round for hunting small game! Newly manufactured by Federal, this product is excellent for target practice and tactical exercises. Each round is brass-cased, boxer-primed, non-corrosive, and reloadable. 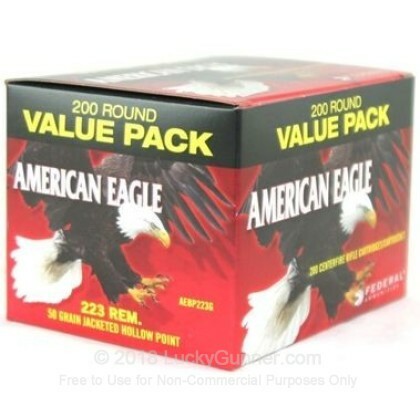 It is both economical and precision manufactured in the United States by an established U.S. cartridge producer. I have a rather old Mini-14 with a 16-inch barrel and an Accu-Strut device on it, which does seem to make the rifle shoot a little better with any ammo. But this specific cartridge produces the tightest groups of any I have tested.